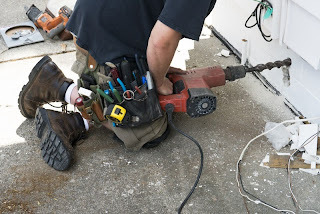 It’s always fun to play the role of handy man (or woman) when it comes to making the home improvements you have always dreamed of, but there are times when hiring a professional just makes more sense. Skilled professional contractors do amazing work, but their work can come with a surprisingly hefty price tag if you’re not careful. With more and more people tapping into home equity loans for the purposes of making home improvements, it’s important to know how to get a fair (or better) deal from professional contractors before you put them to work. Pick the right specialist- With a range of evolving construction codes and regulations; it’s important to pick a contractor who is experienced in doing the exact type of job you’re asking for. Inexperienced contractors don’t work as efficiently, which can add up to extra costs down the line. Ask plenty of questions- Taking the time to interview potential contractors with a few quick phone calls could save you plenty of cash. Inquire about their current schedule of jobs and work load, what work they have previously completed and how often they take on projects that are similar to yours. Check References-Take time to call references. Ask not only if they were happy with the quality of work, but if the contractor did the work on time and on budget. Create a payment schedule- Contractors will feel more inclined to deliver top-quality work if they are paid as they go. Some may request majority amounts of the bid up front for long-term work, which could be a red flag that they may not feel comfortable with you paying the whole amount after seeing their completed work. Consider choosing a local contractor- Local companies may be more motivated to do the best work in their area, since they have a reputation to protect. You’ll also be supporting your community’s economy by “going local." Home improvements can add serious value to your home, but they can also be expensive. Home equity loans are available at a great rate at Community Financial. Visit this link to find out more.